Weekly smARTips: Let’s Do The Spring Swing! Let’s Do the Spring Swing! One of the most powerful influences we humans have is how we navigate the seasons. Even areas of the world where the temperatures are flat lined (San Diego, CA for example) and you could mistake these as mono-seasoned, compared to full out four-season areas (Portland, ME, for example), the rhythm of the summer, autumn, winter, and spring still exist, albeit in a more subtle version. Our human body, on all levels (mental, emotional, physical, and spiritual) is hard wired to be responsive to rhythms. Only here, in the 21st Century, in what we call the “first” world countries especially, our civilization is working hard to eliminate our relationship to those shifts of temperature, air currents, ground re-birth and dormancy, the change in wildlife. A whole lot of humanity is surrounded with monotone rhythms in their daily work structures and leisure structures. We are encouraged to be “wired” into our lives so someone somewhere knows pretty much what we are doing or going to do or want to do or can’t do. And then, here comes spring after what a lot of people feel was a grueling winter. Plants, in my New England part of the world, are claiming their right to life and pushing the ground aside to feel the sun on their green cheeks. 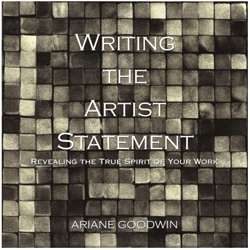 And you, as an artist, have an opportunity to deliberately, intentionally, with full consciousness tap into the swing of seasons, the shift in rhythm, and create from that connection. In what other field of human endeavor is that possible? Where else can your human connection, to something as core and essential as your connection to the seasons of Earth, flow into, and out of, your creative process? If you were to deliberately, intentionally, with full consciousness allow the seasonal shift to impact your creative outflow, how might that enliven the work that you do? What “breath of fresh air” from this spring can you take into the studio with you, this week, and allow that to expand your creative possibilities? P.S. A whole army of artists are, right now, getting ready for their warm weather, vacation oriented (read: when tourists spend $$), participation in Art Fairs. 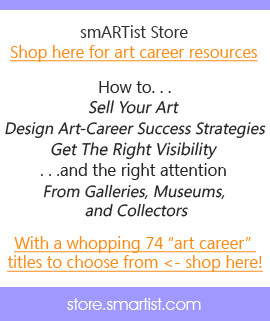 Connie Mettler’s smARTist presentation is a good way to find out if Art Fairs are the right venue for you or not. As a photographer that specializes in wildlife and nature images I especially look forward to the change of seasons. The mist that gathers along the ground in summer, the smell of fallen leaves in autumn, the silence of the first snows of winter, and in spring (after an especially long winter) the beauty of the spring blooms and the sight of newborn wild ponies enjoying their first gallop in the mile-high mountains of Grayson Highlands VA. I believe that if you embrace the changing seasons you can capture in your art not only what you are seeing but also what you are feeling. Jeffrey – thank you for your “Magnolia Gardens” heralding that after-a-long-winter-at-last spring you speak of here. I love the sense of entering a land of pure spring fantasy! Thank you.